Cuba was discovered by Christopher Columbus in 1492, and settled by Diego Velasquez in the early 16th century. Cuba remained under Spain until 1898 except for a brief period of British control in 1762 to 1763. Cubans struggled for many years for independence. After 1895 the US lent military assistance to the rebels, and independence was finally achieved in 1902. In 1952 Fulgencio Batista seized power and established a dictatorship. 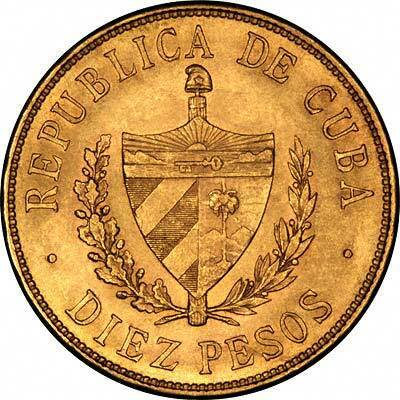 This was overthrown by Fidel Castro on January 1st 1959, and a communist collective system was installed by 1962. This regime was, for many years, supported by the USSR, causing opposition and tension with the nearby USA, which imposed sanctions in 1961. 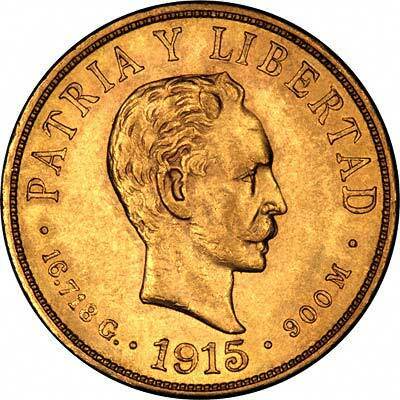 Cuba issued gold coins in 1915 and 1916, but no more were issued until about 1977, since when a large number of commemorative designs have been issued. DIEZ PESOS (again in the case of a ten pesos). Please telephone prior to ordering for current prices and availability. 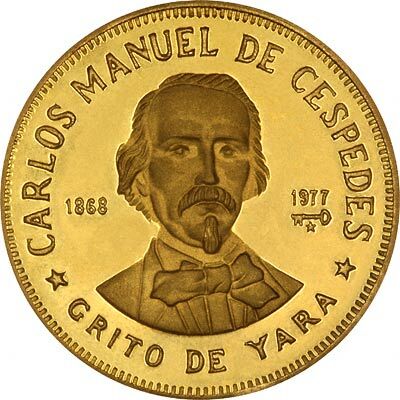 For silver and base metal coins of Cuba, please look at our original Chard Coins website. 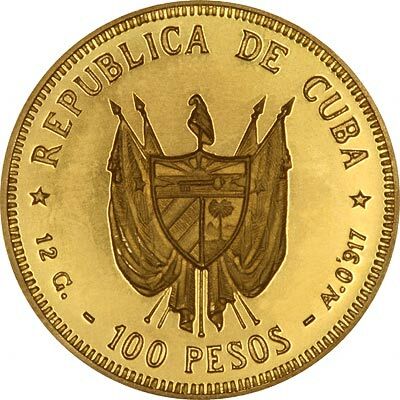 We make an active market in almost all world coins, gold or otherwise, including Cuban gold coins. If you have any of these coins to sell, please contact us, or post them to us for appraisal and offer.